API2Cart always strives to improve our integrations to power our clients with more opportunities to ease and advance retailers’ business. This time we’ve added basket item.add method for Magento and WooCommerce. Its name speaks for itself: the method is for inserting products into visitors carts. There are quite a few cases of how this can be used by e-commerce b2b software. First, you get the list of abandoned orders via order.abandoned.list method. Then you can send emails to cart abandoners with the button inviting them to add the item to the cart and complete the purchase. The case above also works for chatbots. 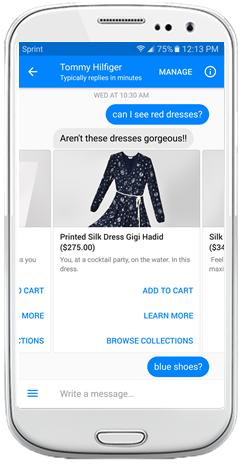 Using basket.item.add method chatbots can let their visitors save items to carts right from the chat. Add “Add to cart” button to the social media posts as alternative to Buy Buttons. There appeared smart video marketing solutions like Cinsay or Howtube that allow shoppers to perform transactions while they are watching video. And the simplest way to provide “Add to cart” button in the video is via API2Cart basket.item.add method. Retailers can show ads with products that visitors have viewed and let them add those products into baskets in one click right from the ad banner. Say the visitor finds your product listed on Amazon and added it to their cart. Using basket.item.add method you can make the product appear in user’s cart on your main online store.